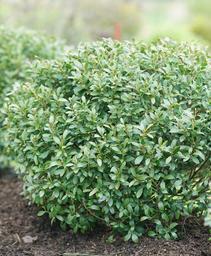 ‘Chesapeake’ Japanese Holly has a compact, upright, pyramidal shape, with small lustrous evergreen foliage. The dense habit makes Ilex ‘Chesapeake’ an excellent candidate for a neat short hedge which requires little pruning to maintain its shape. 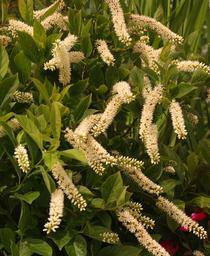 Similar in shape to Ilex ‘Steeds’, ‘Chesapeake’ also works well as a formal foundation plant. 'Green Lustre' Japanese Holly has shiny small green leaves and has a flat-topped shrub habit, making it excellent for low hedges. It does well at the seashore because it is salt tolerant. Evergreen and a female form introduced in the 1930s. 'Helleri' Japanese Holly is evergreen with tiny green leaves. on a dwarf, stiffly mounding plant. Our landscaper friend Martin Blackman says this is the only Japanese Holly he can use with success in deer-infested Princeton. A female introduced in the late 1930s by Newport Nursery. 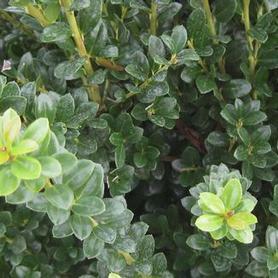 'Hoogendorn' Japanese Holly has dark green delicate evergreen leaves on a low mounding habit. It is more graceful looking than Ilex c. 'Helleri' and has gotten high praise from Dr. Michael Dirr as one of the best of the small-leaf Japanese Hollies. It was found on Hoogendorn Nursery in Rhode Island, so it's clearly cold tolerant. This male form of Japanese Holly was found at Hoogendown Nursery and named by T. Dodd. 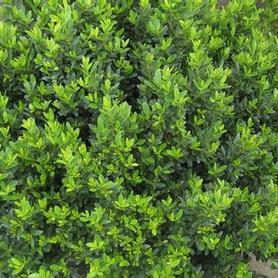 'Sky Pencil' Japanese Holly has a very upright columnar form and glossy evergreen foliage. It looks like an exclamation point in the landscape. It is also salt tolerant. Ilex crenata 'Sky Pencil' needs some babysitting after snowfall to avoid bending branches. A female form found in Japan. 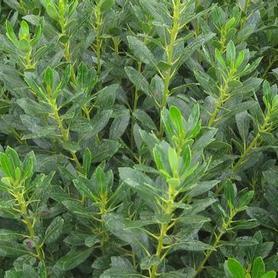 'Steeds' Japanese Holly has an upright pyramidal form with dark green glossy evergreen foliage, excellent for hedging. Ilex crenata 'Steeds' is also salt tolerant. A male form, named and introduced by W. Steeds. 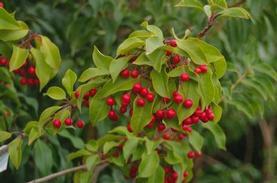 'Compacta' Inkberry Holly is a compact, tight form of Ilex glabra which also has fairly large round evergreen leaves. Wet site and salt tolerant, as are all of the Inkberry cultivars. A female found by our father William Flemer III in the Pine Barrens. 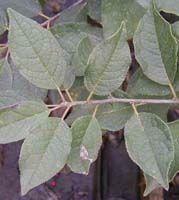 Dark green leathery leaves of Ilex glabra 'Densa' are rounder and wider than I. g. 'Shamrock'. 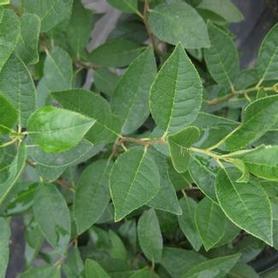 It will become a tall but dense-leafed shrub. Takes pruning well. Evergreen, it is also wet site and salt tolerant. The top performer in the recent shrub trials at Longwood Gardens. A female form found by our cousin Bert Flemer in 1938 at F&F Nurseries in NJ. 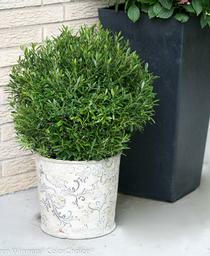 Proven Winners® Color Choice® Gem Box® ('SMNIGAB17') Inkberry Holly is an exciting alternative to Boxwoods. The habit is round and full to the ground, without the bare branch look which many Ilex glabras exhibit as they age. 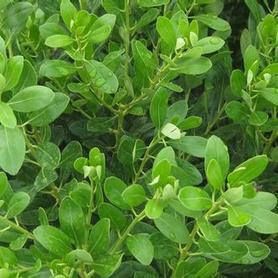 As Boxwood Blight becomes more of a regional problem, this tough native evergreen shrub will become more important for containers, low hedges and small round garden specimens. New growth is spring has reddish tips which mature to small dark green leaves. 'Shamrock' Inkberry is a compact upright form of Ilex glabra with small glossy leaves. 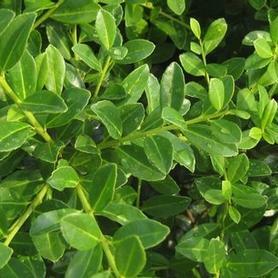 It is wet site tolerant and great for evergreen hedges. 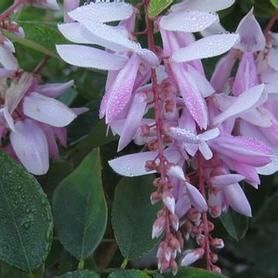 A female form named and introduced in 1977 by John Tankard of Tankard Nurseries in Virginia. Strongbox™ ('Ilexfarrowtracey') Inkberry Holly is a welcome introduction from Proven Winners offering a good native substitute for Boxwoods. 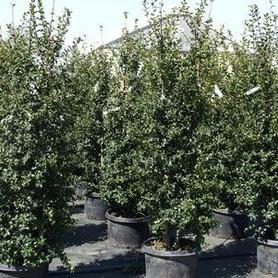 Ilex glabra Strongbox™ looks like a short round Buxus, but it is more sun tolerant and moisture tolerant., as well an unthreatened by Boxwood Blight. 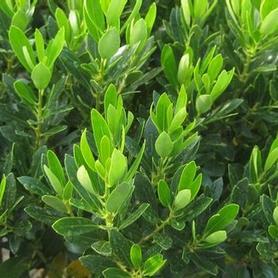 Since this compact Inkberry stays full to the ground, it can be used in containers, for low hedges and in mass plantings. 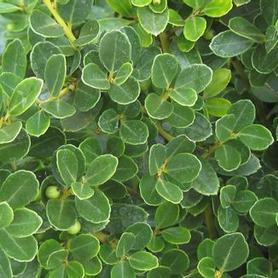 The tight habit and small leaves make pruning rarely necessary. 'Maryland Dwarf' American Holly is a very unusual female form of our wonderful native evergreen Holly. It slowly forms a very wide mound, with dark green minimally spiny leaves and some red fruit production. American Hollies are amazingly versatile in the North East, thriving from sunny swampy areas to dry shade locations, so 'Maryland Dwarf' can be used in a number of different locations. It was introduced by in 1942 by E. Dilatush from Bunting Nursery. Definitely an unusual, groundcover shrub. 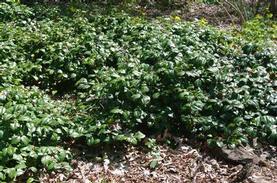 PRN Preferred: Definitely an unusual groundcover shrub which we love because of its diversity. 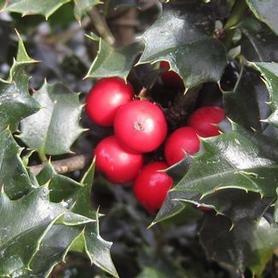 The smooth, lustrous evergreen leaves of Longstalk Holly set off the beautiful red berries held on long peduncles throughout the fall and winter. A great cut green to bring into the house, especially since it's spineless. We've loved this Ilex for years and our selection often has 3 berries per peduncle, making it very showy. Male Longstalk Holly is the proper pollinator for our female selection. In order to get the best fruit set possible, use at least 1 male for every 5 females. We originally received our Ilex pedunculosa seed from the Arnold Arboretum, which introduced this beautiful Holly to the US in 1892. 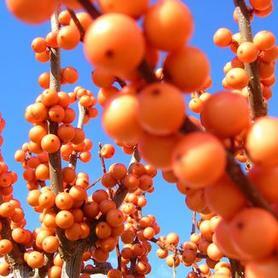 'Chrysocarpa' Winterberry has bright yellow fruit which lasts well into the winter (birds prefer to eat red fruit). Its deciduous leaves drop somewhat earlier than most red-fruited varieties, so that the fruit is visible early in the fall. The pollinator is I. 'Jim Dandy'. Like all Winterberries, it is wet site tolerant. 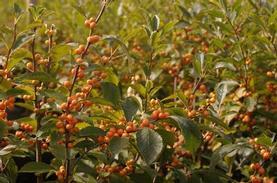 PRN Preferred: The best yellow fruited Winterberry we grow. Jim Dandy' Winterberry is the early blooming pollinator for Ilex verticillata 'Afterglow', 'Chrysocarpa', 'Goldfinch', 'Maryland Beauty', 'Red Sprite' and 'Stoplight'. Deciduous. Ilex verticillata 'Maryland Beauty' has large red fruit which covers the branches thickly, and colors up early in the fall. 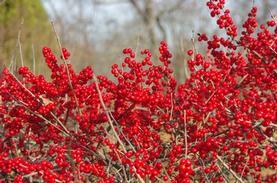 This Winterberry Holly is often used for commercial cut branch production. It has a compact habit and is deciduous. 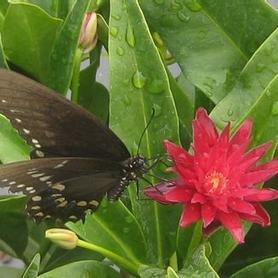 'Jim Dandy' is the pollinator. It is also wet site and salt tolerant. Producing profuse amounts of large red fruit all winter on an extremely compact plant, Ilex verticillata 'Red Sprite' never needs pruning! The pollinator for this deciduous Winterberry Holly is 'Jim Dandy'. It is also wet site and salt tolerant. PRN Preferred: Can't say enough about this plant, it's compact, doesn't need pruning and has larger fruit and a longer berry display. 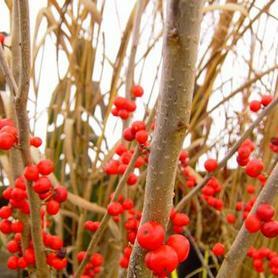 Southern Gentleman' Winterberry is the pollinator for Ilex verticillata Winter Red® and 'Winter Gold'. 'Winter Gold' Winterberry has orange-gold fruit well into December. Ilex verticillata 'Winter Gold' is an introduction by Simpson Nursery. The pollinator is 'Southern Gentleman'. It is deciduous and also wet site and salt tolerant. 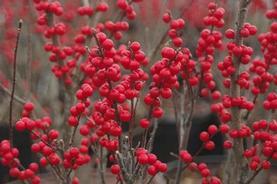 Winter Red® Winterberry has brilliant red long lasting fruit. An introduction by Simpson Nursery. Pollinator is 'Southern Gentleman'. It is deciduous and wet site tolerant, as our son Hans Hesselein has proven by planting it in our own swamp. It is also salt tolerant. 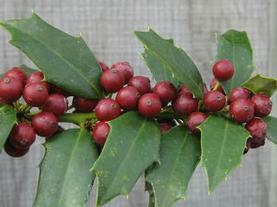 'Christmas Jewel' ('HL10-90') Holly is a small pyramidal female Ilex with abundant red fruit at a very young age. Narrow dark shiny evergreen leaves, does not need a pollinator. It was introduced by Bob Head of Head-Lea Nursery. Red Beauty® ('Rutzan') Holly is another introduction from Dr. Elwin Orton's lifelong work with the genus Ilex. The shiny dark green leaves are spiny, neat and small, covering its conical, pyramidal form. It is readily pollinated by Ilex x meserveae males, and the fruit is attractive on its evergreen setting all winter. Slow growing and narrow, it fits in well in smaller garden spaces. 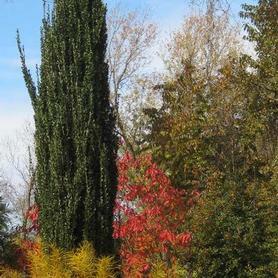 Most exciting of all, it has proved to be extremely deer resistant according to Bruce Crawford of The Rutgers Gardens. PRN Preferred: Doesn't require a specific pollinator to produce red fruit. Perfect size for smaller gardens. Dragon Lady® ('Meschick') Holly is a very glossy, upright female plant, with an excellent fall and winter display of bright red fruit. Ilex x aquipernyi Dragon Lady® was hybridized by Kathleen Meserve. Evergreen and does not need a pollinator. Ilex 'Dragon Lady' has proved to be very resistant to deer browse. 'Woodland Ruby' Anise-tree has deep purple-red straplike flowers for an extended period in early to mid summer. 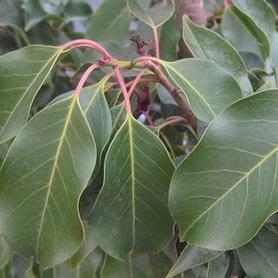 Foliage is dark green and evergreen, somewhat reflexed in winter. Illicium x 'Woodland Ruby' needs protection from winter winds and is happiest in some shade, but will tolerate full sun as well. Per Bruce Crawford, it is happy in both wet and dry sites (as are many flood plain plants). 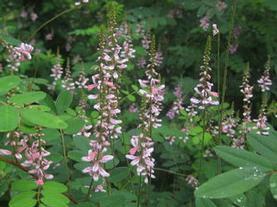 Indigofera amblyantha becomes covered with delicate pink flower spikes in early to late summer. Indigo has an extended showy flowering season. Indigofera does well in shady dry sites. Chinese Indigo has clear pink flowers on slender racemes which are produced from June through the summer. Indigofera decora stays low but gets wide, because of its suckering habit. The flower display looks like short pink Wisteria blossoms. Try it on walls, where you can see flowers more easily. Himalayan Indigo has panicles of purple-pink flowers from June to fall. 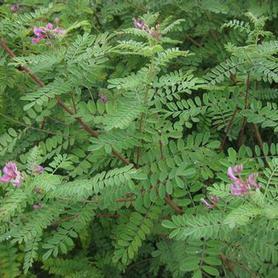 Indigofera gerardiana has delicate grayish-green foliage, and is happy in shady locations. 'Henry's Garnet' Sweetspire has fragrant white flowers in June and burgundy-scarlet fall foliage. Itea virginica 'Henry's Garnet' was named by the Scott Arboretum after Mary Henry. Per Bruce Crawford of The Rutgers Gardens, this is the most cold tolerant of all the Iteas. It is also wet site tolerant. 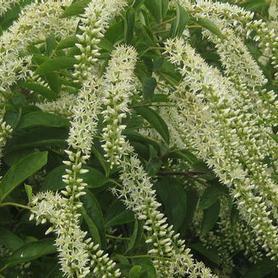 Itea virginica 'Merlot' is a Sweetspire with fragrant white flowers in June and has the most compact habit of our Iteas, with burgundy fall foliage. A wonderful native plant from Mark Griffith, and our favorite Sweetspire for color and habit. It is also wet site tolerant. PRN Preferred: A true multi-season plant, colorful twigs in winter, fragrant flower spikes, dense deer resistant colonies in summer and long lasting burgundy foliage in fall.